You don't need to own PUBG or have an active Xbox Live Gold subscription to enter the battle royale this weekend. Microsoft's Free Play Days For All weekend is live right now through Sunday, November 11, and everyone with an Xbox One can participate in online multiplayer with no subscription required. As an added bonus, PUBG and PES 2019 are both free to download and play during the event. If you're a Fortnite fan, you should also get a kick out of trying the battle royale game that inspired it. 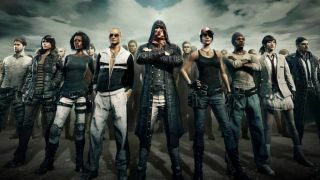 PUBG is a more methodical shooter with tons of weapon and gear customization instead of building, but some of your skills still ought to transfer over. Meanwhile, PES 2019 is a strong footballing alternative to FIFA 2019 for fans who are looking for more authenticity on the pitch. Both games are only free for a limited time; if you want to keep playing after the weekend ends, you'll have to purchase them as normal. However, you should be able to retain whatever progress you made during the free weekend, if it works like pretty much every other free trial thing Xbox offers. If you're looking for some more games to enjoy while the online multiplayer is free and abundant, look no further than our list of the best online games. The majority of them are playable on Xbox One X, and they might just be fun enough to convince you to sign up for a subscription once the free weekend ends. If you do, make sure you consult our guide to the best prices on Xbox Live Gold 12 month subscriptions. Check out the current crop of Xbox Games with Gold to see more of the perks that come with a subscription.